MCC Weddings and Occasions feautures Songket elements for Songket lovers. 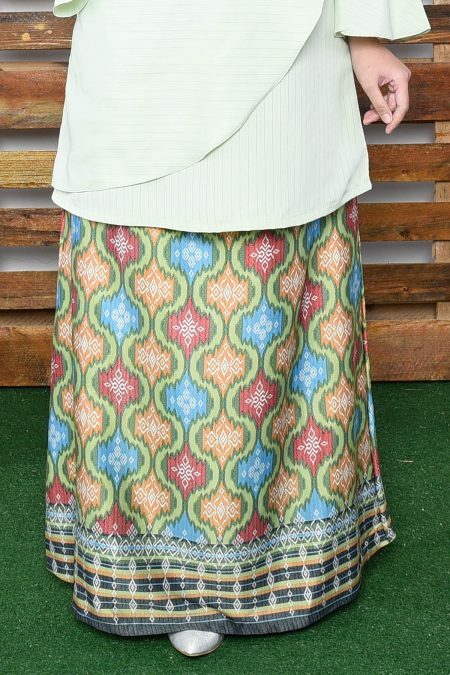 Add some traditional motifs into your wardrobe with Kurung Songket Nakeila. Kurung Songket Nakeila present a songket skirt and pastel colors for top wear with statement circular flounce sleeves. To be more dramatic, an asymmetrical overlapping element on the front added then you are ready to smash the day confidentlly.